Stocker-Crew introduces the Vandaele Wood Chippers and Stump Grinders in their 2011 product range. Vandaele are leading manufacturers of quality horticulture equipment for horticulture maintenance. The Vandaele Wood Chippers and Stump Grinders offers easy maintenance, optimum safety and no knives sharpening required. 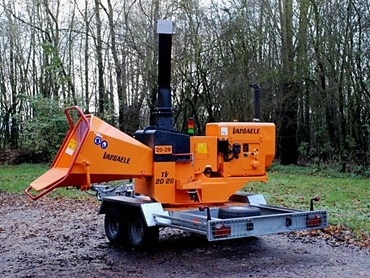 The Vandaele Wood Chippers and Stump Grinders meet all CE safety standards and provides a safety bar surrounding the infeed funnel, which is Vandaele patent. Stocker-Crew’s range of Vandaele Wood Chippers and Stump Grinders include 10 different models with infeed diameters from 12cm to 40cm.